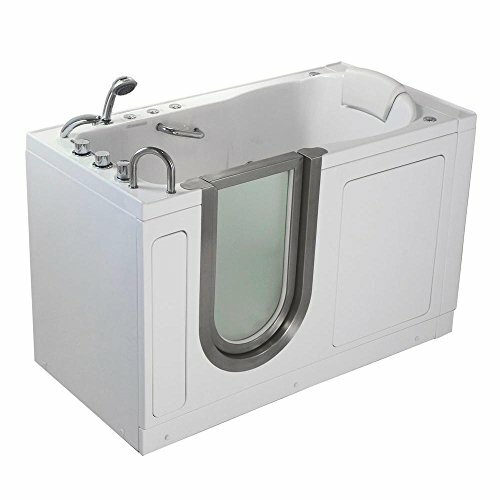 The Deluxe walk-in bathtub, stretch out and give yourself more leg room in our pioneer model. 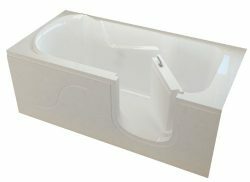 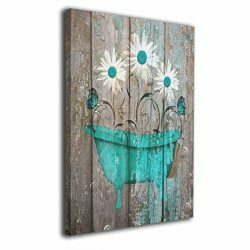 Measuring at 55” long, this walk-in tub is ideal for taller bathers. 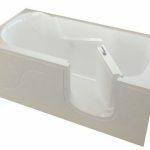 With an economical price point, the Deluxe walk-in bathtub is the clear choice for cost-conscious customers. 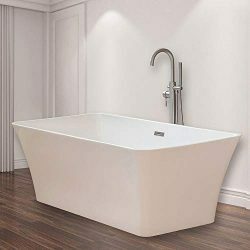 The Ella Deluxe walk-in tub is designed to fulfill the need for a smaller walk in bath. 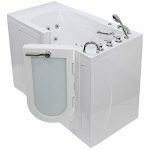 This tub offers a removable rubber backrest, has 19.75” seat, textured slip resistant floor, hydro massage with intensity air flow control, and a low step threshold for easy access. 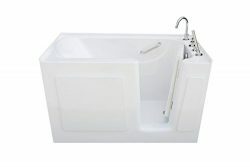 Moreover, it also comes with Thermostatic Control faucet. 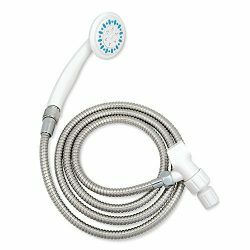 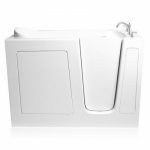 This set includes a designer spout, two diverters extension handles, a thermostatic control valve, and a pull-out hand-held shower mixer with 5′ retractable stainless-steel hose. 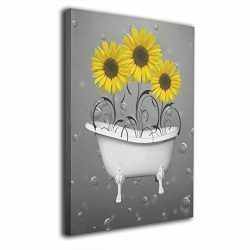 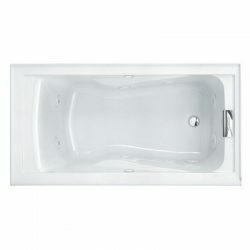 It comes in a sleek chrome finish that adds a nice aesthetic to your walk-in bathtub. 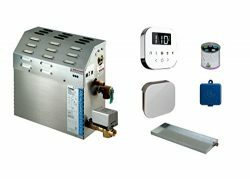 The thermostatic control valve is an anti-scald feature that prevents the water from shifting to unsafe temperatures. 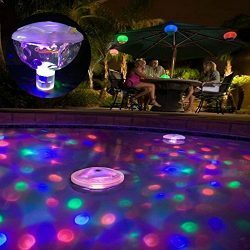 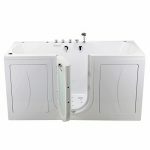 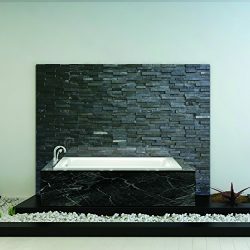 In addition, 2” dual drain minimizes the amount of time you have to sit outside of water. 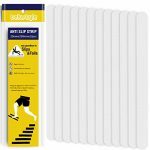 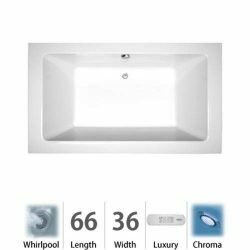 These drains are gravity driven and are larger than a standard one and half inch drain. 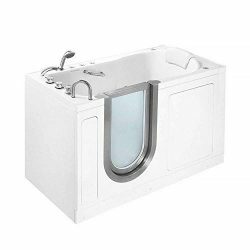 This allows the walk-in bathtub to drain in approximately 80 seconds at ideal plumbing conditions* This is important because a bather cannot exit the bath until it’s completely drained so having dual drain technology is great feature to have. 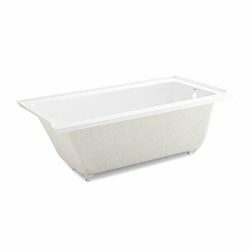 Ella acrylic walk in baths are constructed of the highest grade cast white acrylic, with an easy to clean gloss finish that is reinforced with fiberglass. 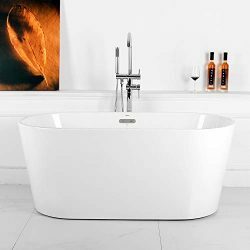 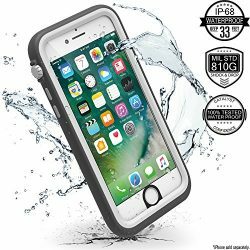 It is built to last starting with a high gloss acrylic shell which is easy to clean, scratch resistant and impermeable to mold and bacteria. 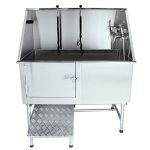 The shell is supported by a stainless-steel frame and leveling legs for ease and durability during installation. 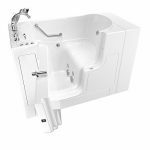 The supporting frame as well as the Toe Kick Access Panel allow for simple above the floor drain installation, convenient access to the underside of the tub, and the ability to lower the threshold for easier step in access. 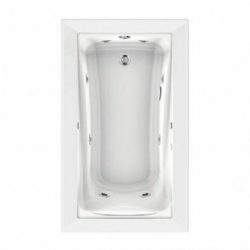 By utilizing the interchangeable end access panel, your Ella Walk-In Bath can easily be installed into a corner or alcove setting. 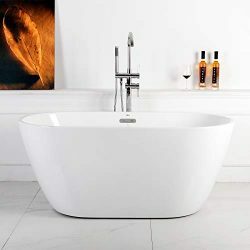 The stainless-steel door adds a modern aesthetic to the walk-in bathtub; you won’t be able to find such an eye-catching walk in tub anywhere else. 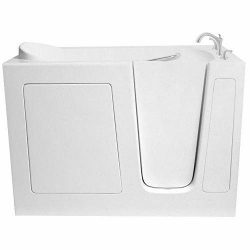 Along with added aesthetic, the removable door allows easier access to clean hard to reach places. 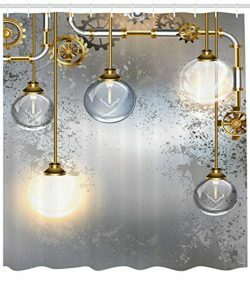 So, the door is not only stylish but also functional. 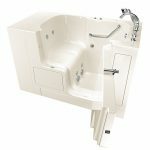 All these unique features and user-friendly controls put the finishing touch on this relaxing and therapeutic bathing experience.